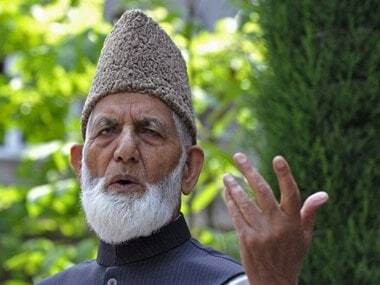 New Delhi: Widening its probe, the NIA Thursday issued summons to Hurriyat hawk Syed Ali Shah Geelani's elder son Nayeem, asking him to appear before it for questioning on Monday in connection with its probe in the terror funding case in the Kashmir Valley. A surgeon by profession, Nayeem had returned from Pakistan in 2010 after spending 11 years there. 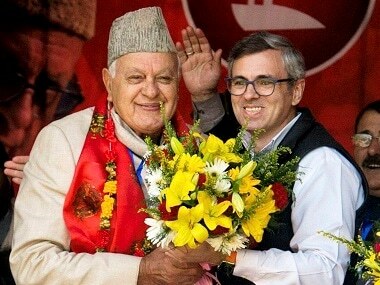 He is tipped as the natural successor to the Geelani-led Tehrek-e-Hurriyat, a separatist conglomerate comprising pro-Pakistan hardline groups. Officials privy to the developments said the summons has been issued to Nayeem to appear before the NIA on 31 July in connection with the case of terror funding in the valley. Geelani's son-in-law Altaf Ahmed Shah alias Altaf Fantoosh has already been arrested by the NIA and was being interrogated in the same case, they said. Besides him, Geelani's close aides Ayaz Akbar, who is also spokesman of Tehreek-e-Hurriyat, and Peer Saifullah were also arrested by the NIA from the Valley earlier this week. Shahid-ul-Islam, spokesman of the moderate Hurriyat Conference led by Mirwaiz Umer Farooq, as also Mehrajuddin Kalwal, Nayeem Khan (of the Hurriyat's Geelani faction) and Farooq Ahmed Dar alias 'Bitta Karate' have also been arrested, the officials said. 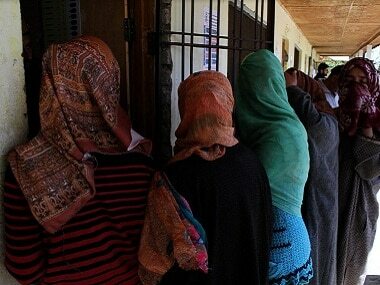 All of them have been remanded to 10 days of NIA custody. Hafiz Saeed, the Pakistan-based chief of Jamaat-ul-Dawah, the front of another proscribed outfit Lashker-e-Taiba (LeT), has been named in the FIR as an accused besides organisations such as the Hurriyat Conference (factions led by Geelani and Mirwaiz Farooq), Hizbul Mujahideen (HM) and all-woman outfit Dukhtaran-e-Millat. The NIA had registered a case on 30 May against the separatist and secessionist leaders, including members of the Hurriyat Conference, who have been acting in connivance with active militants of the HM, Dukhtaran-e-Millat, LeT, other outfits and gangs. 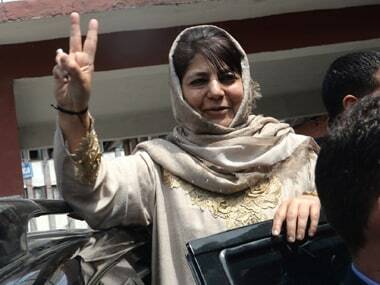 The case was registered for raising, receiving and collecting funds through various illegal means, including hawala, for funding separatist and terrorist activities in Jammu and Kashmir and for causing disruption in Kashmir valley by way of pelting security forces with stones, burning schools, damaging public property and waging war against India. In pursuance of this case, the NIA had conducted widespread searches on the suspected persons in Jammu and Kashmir, Delhi and Haryana and incriminating documents, electronic devices, cash and other valuables worth crore of rupees were unearthed. 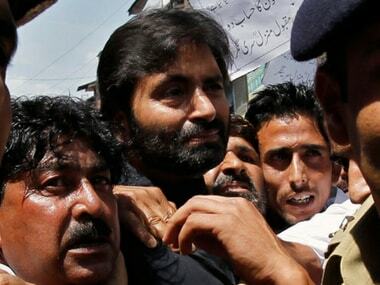 For the the first time since the rise of militancy in Kashmir in the early 1990s, a central probe agency had carried out raids in connection with the funding of separatists and carried out arrests.